Yeeeehaw! 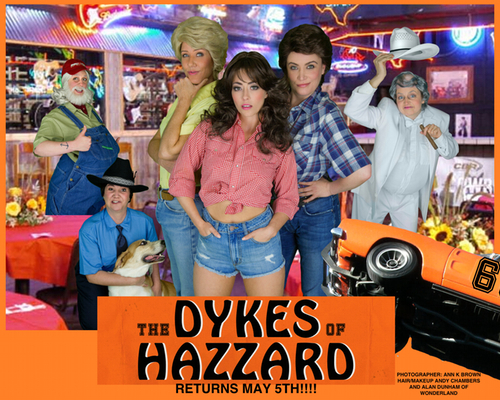 Them Dykes are taking the show to Wichita, KS! Come enjoy all female cast as they parody the wild life in Hazzard County! Will there be car chases, Daisy Dukes, and loads of laughs? Yes. Yes there will!! !